Are you capitalizing on modern marketing trends and tools? 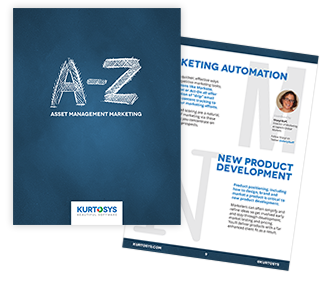 Asset management marketers have a whole new set of channels and technologies at their disposal, all of which can help make their job their easier, more effective and more engaging. But it’s not easy getting your head around the latest social media tools, web analytics or do’s and don’ts. That’s why we’ve put together a handy A-to-Z guide. Fill in your details using the form on this page to download a free copy of the white paper.